Nvidia’s latest graphics card wants to add some (Ge)Force to your PC. 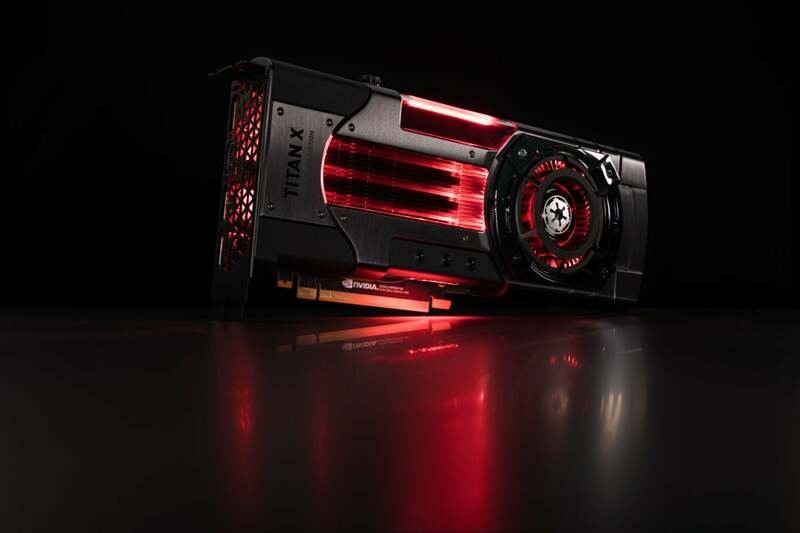 The aptly named Star Wars Titan Xp Collector’s Edition takes Nvidia’s flagship Titan Xp and wraps it in the design language of the Light Side and the Dark Side. No, not in one model. 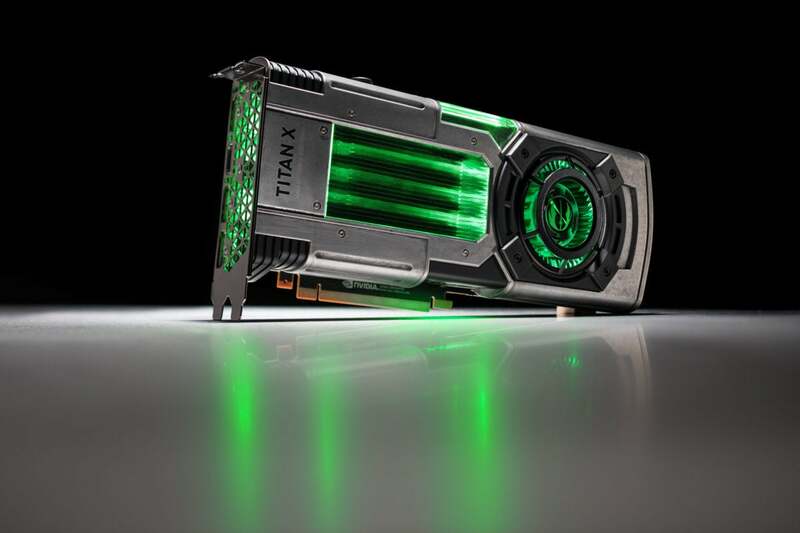 Nvidia is offering separate Jedi Order and Galactic Empire versions of the Titan Xp. The Jedi Order edition “simulates the wear and tear, and battle-worn finish of many items used by the Rebel Alliance, resulting from its die cast aluminum cover being subjected to an extensive, corrosive salt spray,” Nvidia says. The logo of each faction sits on the blower of the Star Wars Titan Xp Collector’s Edition cards and the iconic Star Wars logo adorns the backplate. Another nifty touch: The shrouds of both models were designed to look like lightsabers when viewed from the side! The Jedi Order card glows green like Luke Skywalker’s lightsaber, while the Galactic Empire version swipes Darth Vader’s red hue. The side resembles a lightsaber. As a Titan Xp, these should deliver a killer 60-plus frames per second of performance even at 4K resolution with all the graphics bells and whistles cranked in most games. But as noted in PCWorld’s best graphics cards guide, the $700 GTX 1080 Ti delivers almost as much performance at a much lower cost. The lure of the Dark Side is tempting, though—especially if you use it as the centerpiece of a full-blown Star Wars-themed PC mod. 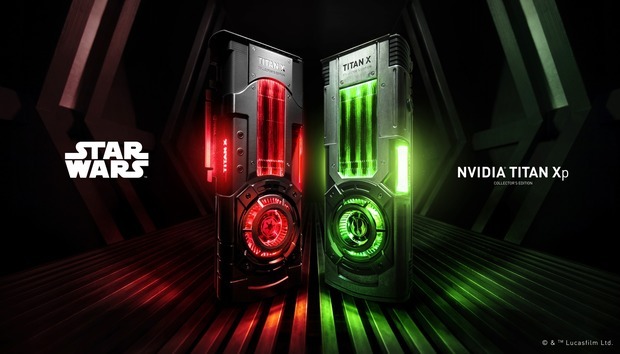 The Star Wars Titan Xp Collector’s Edition goes up for preorder on Nvidia’s site on November 8 before the card launches on November 17. They’ll run you a cool $1,200, which is the exact same price as standard Titan Xp cards. Interestingly, the preorders will only be available to existing GeForce owners in the U.S., U.K., France, and Germany. You’ll need to log in with your GeForce Experience credentials to unlock the ability to purchase the hardware, and you’re limited to buying one each of the Jedi Order and Galactic Empire cards.